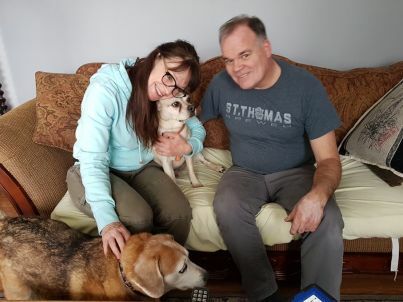 Bugsy is one very adorable, awesome senior who finally found his forever home! No more shuffling from home to home, he has a family who were so excited to meet him, he was showed with so much love. Bugsy has a couple other seniors to share his life with now. Seniors are special souls and we are very grateful to the families willing to give them a forever home! 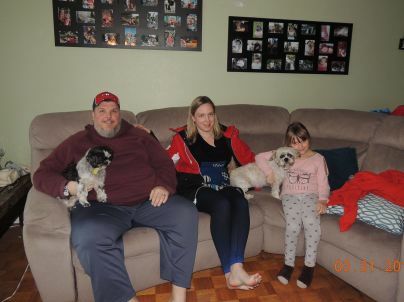 Thanks to everyone who helped Bugsy get his Happy ending! 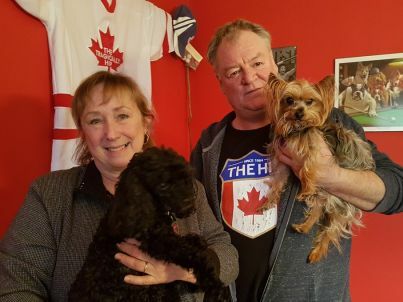 Rocco had to find a new home when his former owner because very ill. We know it’s a heartbreaking experience when things like this happen and we promise to find the best love connection possible for their little companions. Rocco is a charmer, he loves everybody, loves life and is ready for a plan, then a little rest, then back to playing again. He has a new big brother now and a family who adores him already. Thanks to everyone who helped Rocco get his Second chance! It took a few tries for this little cutie because he is very confident in himself and can sometimes be intimidating to other smaller dogs. Well he met his match with another little guy who was very anxious to have a play buddy! Milo is an awesome little guy and so grateful we were finally able to find him a great love connection. He already has his new family wrapped around his little fuzzy paw! Thanks to everyone who helped him get his Happy Ending! Bowtie, aka Bo came to our rescue several weeks ago. He was removed from a bad situation by someone who knew he needed help and contacted us. He is such a happy, friendly, sweet boy! 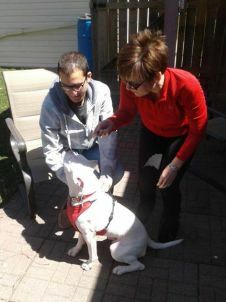 Bo sure loves to be loved, he really enjoys his toys and having fun with other dogs. His new family have plans to keep him happy with lots of other dog buddies at the dog park. Bo has a great life ahead of him without a care in the world…and that is exactly what we love to see! Thanks to everyone who helped Bo get his Happy Ending! Little Quincy has had several changes in his life over the past few weeks. 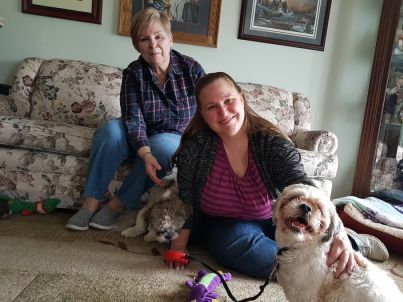 His former adoptive home didn’t work out as hoped, his younger sister wasn’t so happy to have another dog in the home, she was only happy to have visitors. 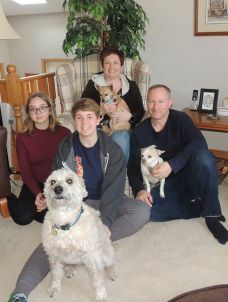 So Quincy was moved and made himself right at home in his new foster home…..a love connection happened and his new family were excited to welcome him into their family. He has a new sister who is close to his age and the two of them enjoy sitting on the back of the sofa looking out the big picture window. Thanks to everyone who helped Quincy get this second chance! Chander was welcomed with open arms and lots of love by his new family. He has had some hurdles in his young life and has come through them with flying colours! He was in an accident in his former home where the owners tried to mend his broken leg…it did not work and he managed to find a way to live with this leg that didn’t heal properly. Recently thanks to his foster family, money was raised for Chandler to have his leg amputated so he no longer had to manage the pain. He has done wonderfully and his family love him to pieces! Thanks to everyone who helped Chandler get his second chance! Tigger found himself looking for a new home and came to our foster program a few weeks ago. He is little guy with the sweetest personality. His new mom saw his picture and couldn’t wait to meet him. Her little baby doxie boy was looking for a big brother. When these two met, it was instant brotherly love! These two ran and ran and ran, a beautiful sight to see! Tigger was welcomed into his new home with open arms and this gentle soul will have a wonderful life filled with love. Thanks to everyone who helped Tigger get his second chance, this little guy deserved it! These little girls were surrendered to our rescue after a family split. Their dad was on the road all the time and wanted them to have a better life and, in tears, surrendered the girls to our rescue. We promise every owner when surrendering their pets that we will find their pets the best home possible to be loved forever. When they met their new family, they walked in and checked over every area in the house. Sassy made a beeline for the toys and Muffin found the food bowls. They went up to everyone and Sassy jumped up on her new dad like she was suppose to be there. 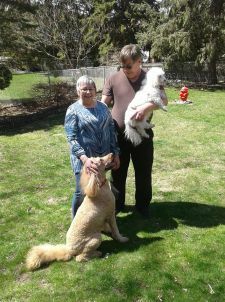 They explored the house and yard and gave it a paws up approval that they wanted to be part of this family! 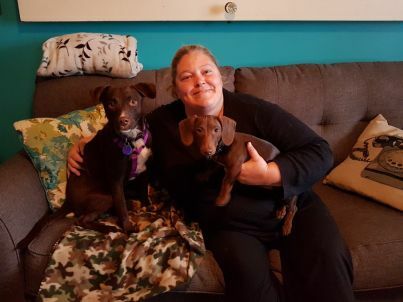 Thanks to everyone who helped Muffin and Sassy get their second chance.